Living the Life of Luxury . . . NBA Style! What's The 411 took part in The Art of Luxury Series, hosted by the expected NBA #1 Draft Pick for 2013, Nerlens Noel and International Model Carissa Rosario. In the ambiance of opulence at the Walt "Clyde" Frazier Wine and Dine, a fun-filled afternoon of luxury items targeted to men was had by all. Exclusively outfitted and geared toward Men, the Art of Luxury Series sets a benchmark as the ONLY annual male-oriented event during NBA DRAFT WEEK highlighting accouterments targeted toward men. Sporting enthusiasts and athletes came out to celebrate in a sea of watches with major bling to a private trainer that can reduce body fat at the speed of light. As I moved from one luxury station to another, I saw a good number of items an NBA ball player would need. The NBA Draft Players need to take heed - a little bling on your wrist or a no-nonsense trainer can take you a long way! On the Court, that is Clyde Frazier's media room . . . Basketball player Corey "Hurricane" Booker came through and spoke of his "first job" playing in Brazil. He indicated that it's much easier to play throughout the world due to the fact that we are a global society. 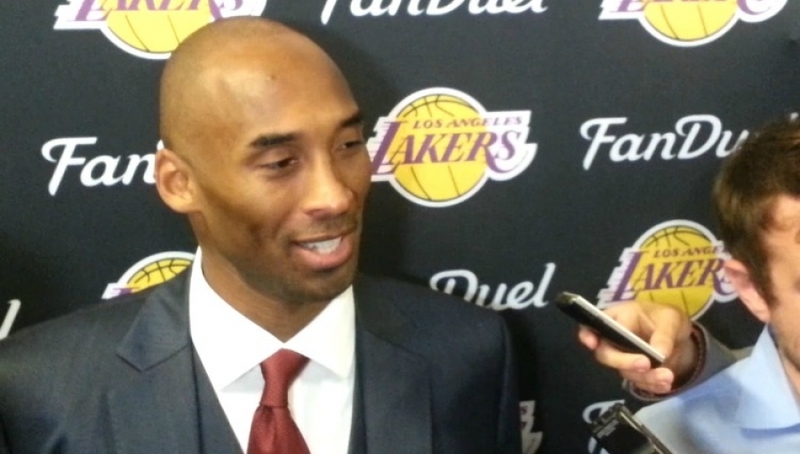 He also gave a shout out to the Harlem Globetrotters and the "pick-up games" . . . the legacy that remains. NBA Draft pick, Mason Plumlee, now selected by the Brooklyn Nets, made himself available for photo ops and gave thanks to Duke University's Coach Mike Krzyzewski. Standing next to him, was a daunting moment. He's 7 feet tall. Actor, Sean Ringgold, of the soap opera One Life to Live hung out with us in the media room. Behind the plexiglass with designs replicating a miniature basketball court, all you can see were cameras flashing and a smile that can be seen for miles. During his interview, he sped off upcoming commercial projects including that One Life to Live is being bought by Oprah's OWN, cable network. That made many fans happy. And, back to the Bling . . . LaCole Broadus, Personal Trainer, demonstrated various ways to tone and build muscle mass. "I went from a size 16 to a size 6 in six weeks", said LaCole Broadus. With an elite clientele from entertainment to government, Ms. Broadus and her husband created Fitness Compulsion six years ago. The amazing duo originates from an extensive background of 20 years in fitness and 10 years in the fashion industry. "I went from 50 percent body fat to 8 percent body fat when I compete," Ms. Broadus continued. And, she's a Mom of three children! Who can compete with that? Jeffrey P. Jacques, representative of the clothing brand Parrish Nation (PN) shared with us the PN line of florals and stars and stripes in tribute to the fourth of July. Parrish Nation originated in 2006 with a graphic tee line. What better way to celebrate the holiday but with a bold and bad t-shirt, dashing with color and design. Eyevision, started by a team of college students, who are presently entering their sophomore year, is a tee shirt line with a logo of an Egyptian symbol that stands for peace, power, and wealth. "We've got what people want. We've got a hot design" said one of the team members. With an aggressive and positive attitude the skies the limit for the young entrepreneurs making it happen. Trukfit, based on Lil Wayne's brand was in the house. "It's for those who find inspiration in the street and for people living on the edge. The fun summer fashion line is on display because "Lil Wayne loves basketball," explained Trukfit's volunteer for the day. This activewear was created to be appealing for skateboarders to basketball players and enthusiasts. And of course, we must have sweets in support of this masculine ambiance. Sweet Love Company displayed an awesome custom made assortment with the NBA insignia right dab in the center. For the basketball players that dropped by her table, the response was, "I shouldn't do it. It's messing up my diet". But of course, they take a sample. Wink.. wink! As the owner puts it, "they deserve to be sweet loved too". And last but not least, for the upscale jet-setters, The Secret Lounge was on hand specializing in men's and women's accessories, jewels, furs, costume design, all in an amazing space with a caterer. This Montclair, New Jersey husband and wife team had so much BLING displayed that my eyes blinked twice when entering Clyde Frazier's spot. Wow!!! The Art and Luxury Series was presented by Tene Nicole Marketing and Public Relations, High Flyers Club, 3P Media, Black Enterprise Magazine and Vodkila. No two teams in the Eastern Conference went through more of a positive roster change on paper than the Brooklyn Nets and the Detroit Pistons. As it is well documented across the basketball globe, the Nets added Jason Kidd as head coach, along with two soon-to-be Hall of Famers in Kevin Garnett and Paul Pierce, and five key bench players. The team also added 6th man of the year Jason Terry; Mister all world, Andrei Kirilenko aka AK-47; scoring and defending wing Alan Anderson; former McDonald’s- All American Shaun Livingston; and reserve rookie big man Mason Plumlee out of Duke University. These moves put the Nets atop the NBA elite if everyone can stay healthy and gel quickly since they have an older team. As for the Pistons, they also added several key pieces that can put them atop the Eastern Conference, starting with the Coach Maurice Cheeks a great mentor to point guards and a former all-star point guard himself. Detroit made a big free agent splash with one of the most dynamic versatile players in the world, Josh Smith. The sign and trade for Brandon Jennings is pivotal in the new NBA where point guards rule the league. Similarly, drafting Kentavious Caldwell-Pope in the lottery fills a major hole in the Piston’s roster. Caldwell-Pope has all the tools of being a top shooting guard in the league. Additionally, an old face from its championship team, Mr. Chauncey “Big Shot” Billups adds playoff experience to a young roster. For fans that came to the game looking for a point guard showdown, no such luck. Since it is pre-season, some of the key players on both teams were out. Absent were Deron Williams with an ailing right ankle, while Brandon Jennings was marked DNP due to dental issues. More to the point, there are a lot of unanswered questions coming into this season reflected in this game. How will Brook Lopez and Kevin Garnett and Joe Johnson and Paul Pierce complement each other since they have similar games? Is the Nets’ bench deep enough to overcome its aging roster? 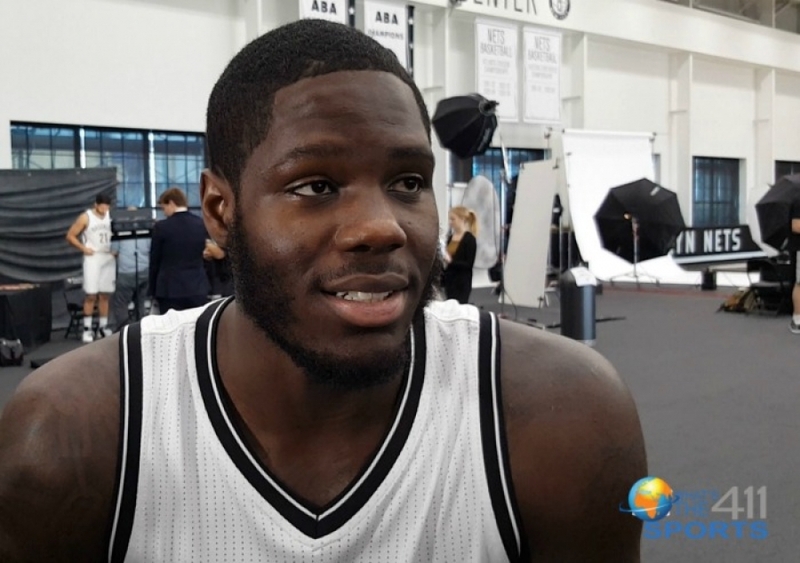 Can a young athletic team like Detroit be the Nets Achilles heel? Paul Pierce and Joe Johnson seem to fit better together more so than Kevin and Brook. I guess the chemistry playing with each other earlier in their careers in Boston helped. They were able to make seamless switches on defense and knew when to clear out on the offensive end making sure spacing was adequate. I don’t foresee any problems here. 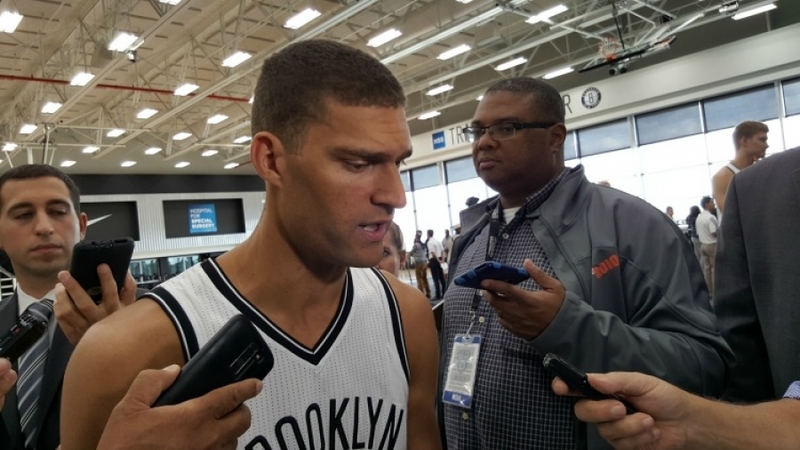 The combination of Brook Lopez and Kevin Garnett is under construction, but there are positive signs. 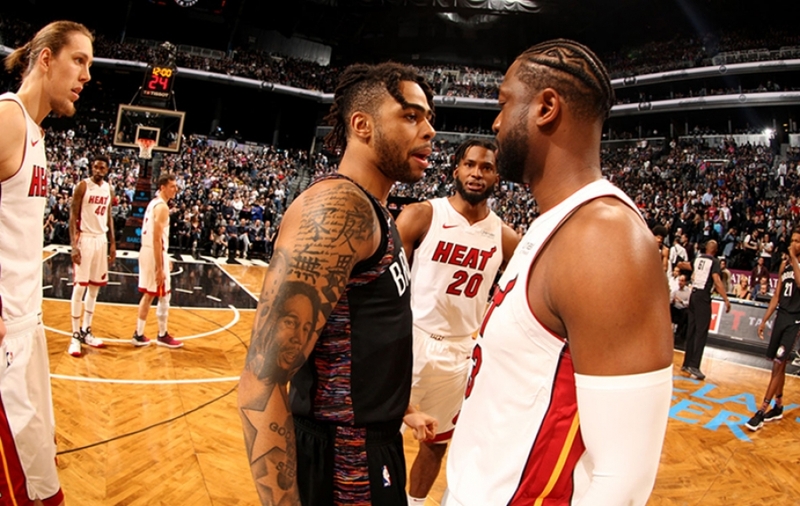 They both have a high b-ball IQ, so they were able to find each other a lot in the post and in the mid-range, giving each other easy buckets. During the first quarter, they played six minutes. Kevin was 3-3 and Brook was 2-3 from the field, super efficient. On the negative side, Brook and Kevin are both high post players, which can leave the big men too high up and away from boards. They combined for two rebounds in the first quarter. 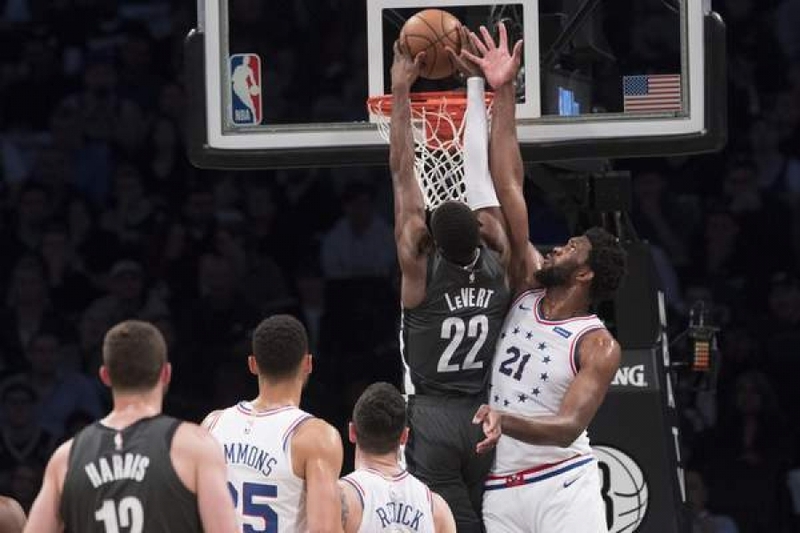 The Nets won’t be able to live up to its lofty preseason expectations with its center and power forward having two rebounds in a quarter and a total of four for the game. Also, the defensive transition was a problem for the two big men. They were late getting back a couple of times leading to easy baskets by Detroit. That Achilles Heel was present a lot of times tonight. The Pistons looked way too young and athletic tonight for one of the oldest teams in the league. So many easy baskets were scored by Andre Drummond by simply out-running or out-jumping the Nets. This really led to the 99-88 loss to the Pistons. The Nets seem to want to play an up-tempo style. However, I would take notes from the Spurs know when to run because you may get run over. As I watched the game, I was thinking this could be a tough year for the Nets. I was concerned because I wasn’t sure where the team was going to get its scoring from off the bench. Then I realized former 6th Man of the Year, Jason Terry, was not playing. So I felt less concerned. AK-47, a great pick up, helped on both ends of the floor, offense and defense. His basketball IQ is through the roof. He made some great passes and steals with his great basketball instinct and hustle. I can tell he will be a crowd favorite. I also saw Brooklynite Gary Forbes on the Nets roster. He was a star for Benjamin Banneker High school right downtown Brooklyn. He stepped right in, didn’t look nervous during his 17minutes and looked like he could be a spark plug off the Nets bench. However, Coach Kidd reminded us during the postgame press conference that the Nets’ roster is already set at the maximum 15 guaranteed contracts. So it looks like Mr. Forbes is trying out for other teams. Editor's note: The Brooklyn Nets have requested waivers on forward Gary Forbes, Nets General Manager Billy King announced tonight. Forbes, who was signed to the training camp roster on September 30, appeared in four preseason games, averaging 6.3 points and 2.0 rebounds per game. The Nets roster now stands at 17 players. We are at the point in the NBA season where teams have solidified their playoff position. Some teams are trying to improve their spot, while others are hanging on to faint hopes. Such is the story of the four teams that took to the floor Friday night. 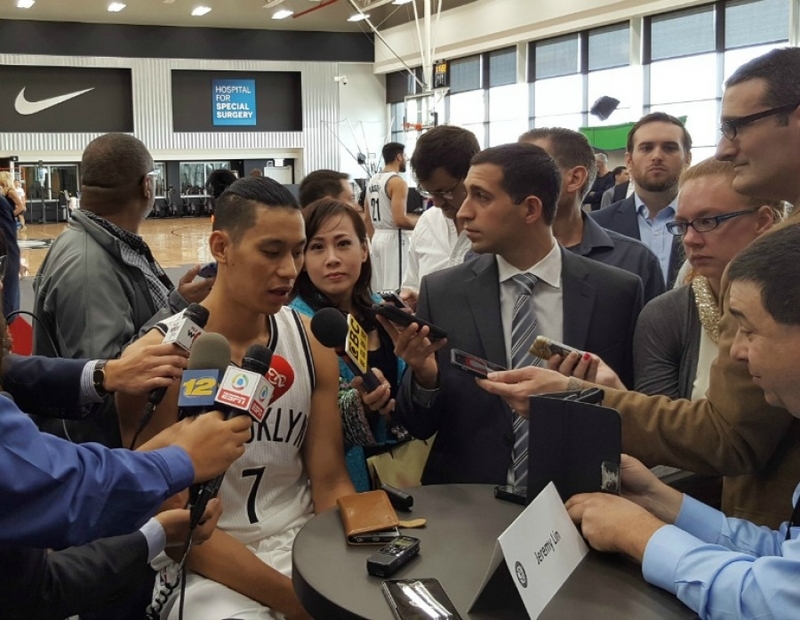 The Brooklyn Nets hosted the Atlanta Hawks at Barclays Center while the New York Knicks were on the road against the division leading Toronto Raptors. The Nets know they will face the Chicago Bulls (who took them out in 7 games last year) when the playoffs start in two weeks. There will be no urgency to play their starters extended minutes to keep them as fresh as possible. For Toronto, it's the same story, the team is looking to win its division for the first time in franchise history. Atlanta holds a 1.5 game lead over New York for the 8th and final spot. It's more like 2.5 games as if both teams end up with identical records, the Hawks would get in due to having a better conference record. 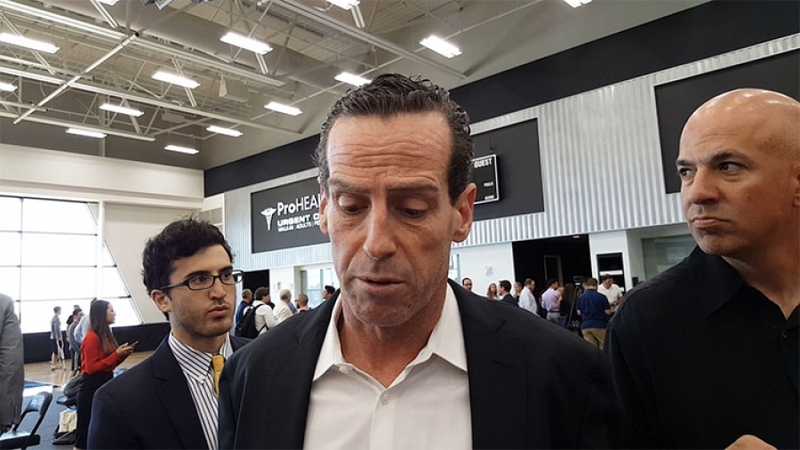 Comments were made recently by the Hawks general manager Danny Ferry that they would not mind missing the playoffs (they would face Miami or Indiana in the first round) so they could be a team in the lottery. It had folks from the NBA shaking their heads. When the Nets introduced their new big 3 (Kevin Garnett, Paul Pierce and Jason Terry) last year the biggest question was how many minutes they would play during the course of the regular season as new first year Head Coach Jason Kidd knew that keeping them healthy and fresh would be the key to their postseason success or failure. Terry is no longer with the team, Pierce has been relatively healthy under those controlled minutes but Garnett's (his replacement Mason Plumlee has played very well in his place as evidenced by his game-winning block against LeBron James and Miami this past Tuesday) back has been a reason for concern. Before playing against Detroit last week on the road, Garnett missed the previous 15 games. So it was no surprise when Brooklyn took the floor Friday night, the starting line-up had the look of an exhibition game. The Nets were without the services of Deron Williams, Shaun Livingston and Alan Anderson with little used Jorge Gutierrez starting in place of Williams. Garnett started his second straight game at center. Plumlee continued his stellar play coming off the bench after Garnett's 3 minutes of play. 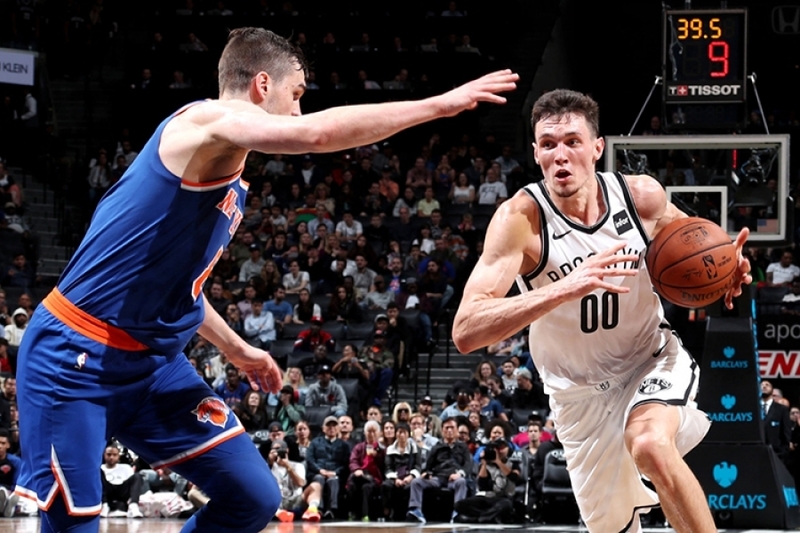 Although he missed 2 of 3 free-throws, he connected on all 3 field goals scoring 7 points as the Nets took a 7 point (23-16) first quarter lead. The Hawks didn't play the second quarter like they were giving up on their playoff hopes. Led by Jeff Teague (all 14 points in the quarter) Atlanta outscored Brooklyn 39-24 to take an 8 point lead (55-47). 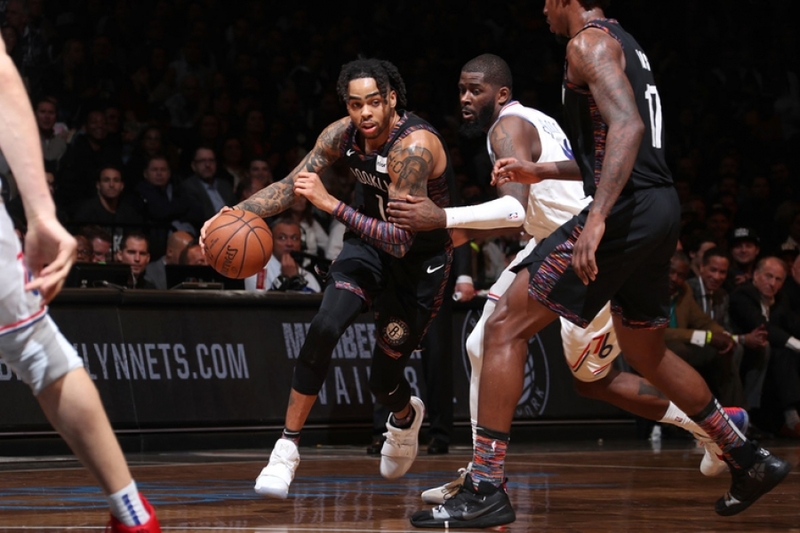 Atlanta extended the lead to 10 (66-56) after a Teague layup but the Nets closed out the 3rd quarter on a 17-8 run getting them within 1 (74-73) setting up the game that could define the Hawks post-season plans. Neither team led by more than 5 (86-81 Hawks) after 2 Paul Millsap free throws. His 27th point of the game gave them a 1 point lead (89-88) with 1:46 left. Teague adds to the lead with 2 free throws and then Kyle Korver blocks Marcus Thorton's lay-up attempt. Joe Johnson misses a floater followed by another Teague basket. Game over. The New York Knicks did their part beating Toronto on the road but had to be hanging their collective heads when they learned about the 93-88 Atlanta win. The loss broke Brooklyn's 15-game home winning streak. Maybe Ferry was playing reverse psychology with his players when he made his no playoff comment. Looks like it's working. Brooklyn's Bit: Prior to the game, New York High School, College and Pro legend Kareem Abdul-Jabbar introduced his SkyHook Challenge to bring awareness to the Chronic Myeloid Leukemia he was diagnosed with in 2008. Skyhook Challenge is a timed trivia game fans participate in to see how many questions they can answer about Abdul Jabbar's basketball history. It was evident that Paul Pierce faced some challenges when he went up against the Boston Celtics Tuesday night-- the team that birthed and raised his career for the past 15 years. The 36-year-old admitted that it "was a little weird looking over and seeing all the green uniforms" since he was used to "lining up in the green and white for so long." Even before tipoff, the uneasiness was still there as he stopped by the Celtics' locker room and walked into the shower room to greet Rajon Rondo, then made his rounds to the other players. During warm-ups, the two former teammates had another chat. Before game time, Brooklyn Nets head coach Jason Kidd said he advised Pierce to treat the game like a scrimmage. But of course, that was easier said than done, as the veteran went scoreless for the first quarter and ended up with 4 points, 10 rebounds, and five assists. Unusual enough, Pierce was the first Nets starter announced when he was always the last one called in Boston. Andray Blatche, who started in place of Kevin Garnett, picked up most of the slack with 14 points. 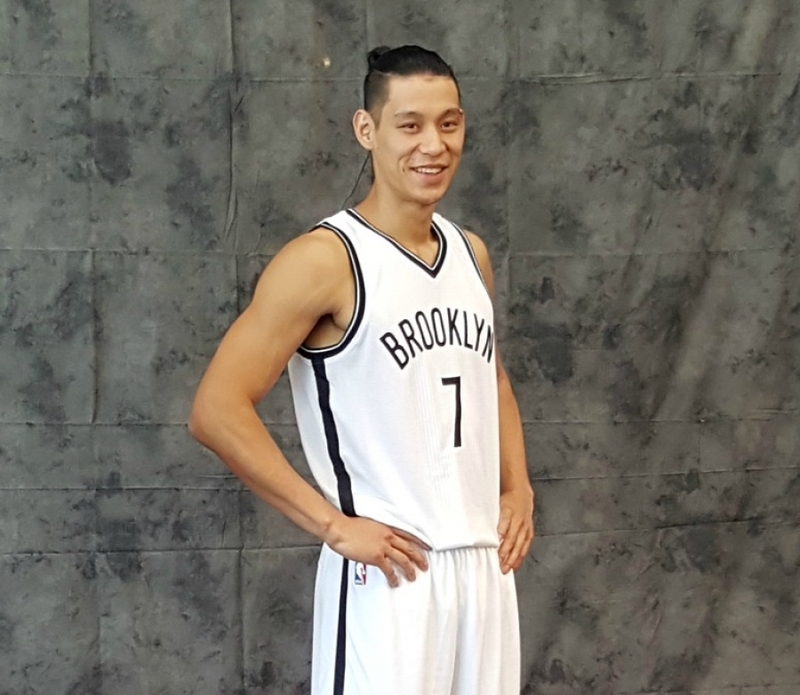 Brook Lopez scored 20 points, but it was newbie Chris Johnson who put Brooklyn on top with the 82-80 victory. Other new faces like Shaun Livingston, Mason Plumlee, Alan Anderson, Jorge Gutierrez and Brooklyn native and Benjamin Banneker alumni, Gary Forbes, banked in a few minutes. Once a fan favorite at the Barclays—newly Celtic Kris Humphries was booed by the crowd in every moment possible, but he preserved and came out big, scoring 12 points in 28 minutes. There was some chatter on Twitter that Mr. Whammy, the Nets most-beloved fan yelled at fans for booing Humphries. "He was a Net," Mr. Whammy reportedly said. Meanwhile, the Nets played without Deron Williams, due to a sprained right ankle, and key reserves Andrei Kirilenko (back spasms) and Jason Terry (left knee), who was also part of that Boston trade.